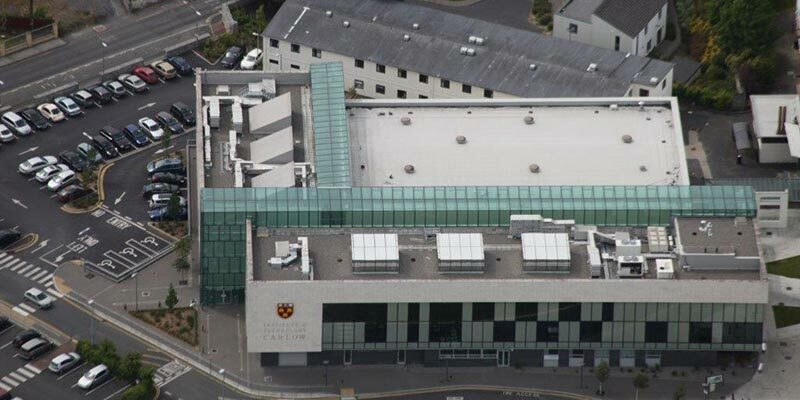 The €4.1 million project to build the R&I Centre at Carlow Institute of Technology was contracted to Select Roofing because of our great experience in the integration of built-up roofing systems and rainscreen cladding. We installed Kingspan insulation to ensure the building’s u-value was in adherence with construction industry regulations concerning energy efficiency. This was covered by a Paralon bituminous felt built-up system while Kingspan Benchmark was installed as rainscreen cladding.